Either way is OK. The F970 battery baseplate has both 7.4V and 12V output. 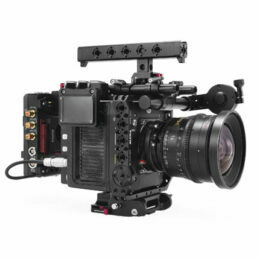 Can you use the V mount baseplate to attach the wireless focus motor?